Galaxy A8 Star comes with a 6.3-inch Full HD+ Super AMOLED "Infinity Display" with an 18.5:9 aspect ratio. Cementing its position in the premium smartphones segment, Samsung has refreshed its Galaxy A8 Series with Galaxy A8 Star priced at Rs 34,990. The smartphone houses many features including dual intellicam camera. The smartphone will be available on Amazon India from August 27 and in the retails stores from September 5 in two colour variants; midnight black and ivory white colours. The smartphone, with dual "Intellicam" camera, will be available on Amazon India from August 27 and in retail stores starting September 5 in midnight black and ivory white colours. "Galaxy A8 Star comes with the first ever dual 'Intellicam' proposition that can turn anyone into a professional photographer. 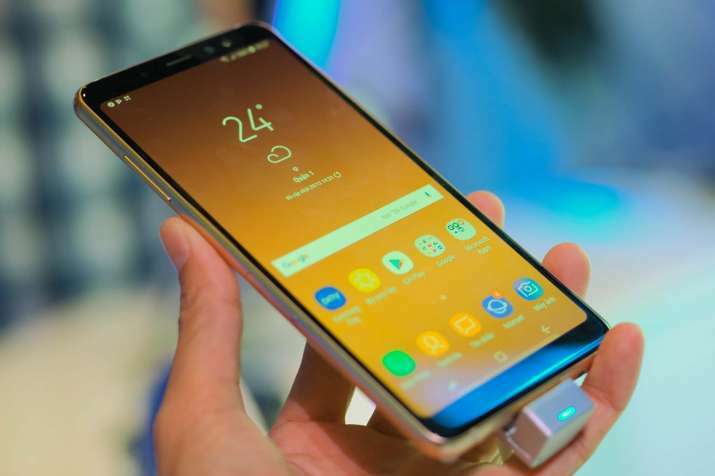 Its Immersive 6.3 inches display and slim design are sure to make a style statement," Aditya Babbar, General Manager, Samsung India, said in a statement. The dual "Intellicam" set-up includes 16MP+24MP sensors. Both cameras come with f/1.7 apertures for low light photography. There is a 24MP (f/2.0) selfie shooter as well. Galaxy A8 Star's large-aperture lenses make the smartphone capable of capturing bright and clear images and beautiful selfies at any time of the day or night, the company claimed. Galaxy A8 Star comes with a 6.3-inch Full HD+ Super AMOLED "Infinity Display" with an 18.5:9 aspect ratio. The device houses 3,700mAh coupled with 6GB RAM and 64GB internal storage, which is expandable upto 400GB via a MicroSD card.